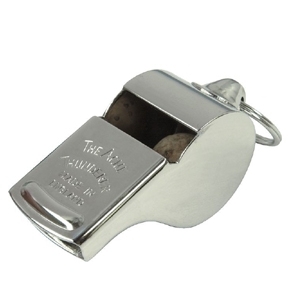 The most famous of all drum major whistles. All metal construction, nickel over brass. Produces a sharp, shrill tone. Made in England.